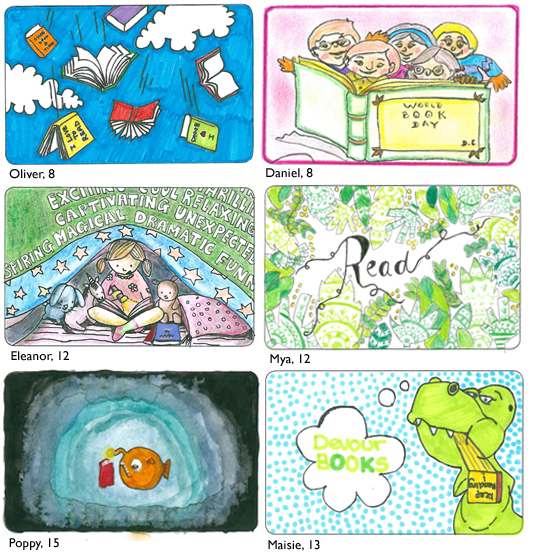 World Book Day Design a National Book Token competition winners! We’re extremely excited to announce the talented winners of this year’s World Book Day Design a National Book Token competition. 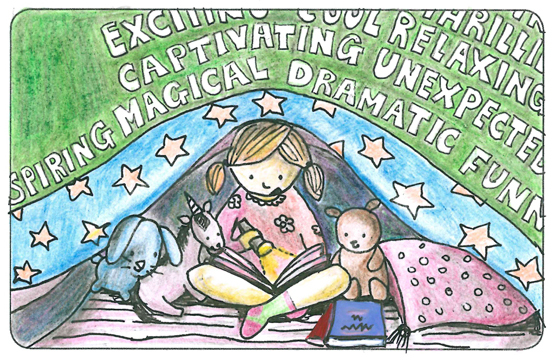 We challenged young booklovers across the UK and Ireland to design a book-themed gift card. After going through more than 20,000 fantastic designs, our judges whittled down the entries and picked the final six. Each winner has won £500 National Book Tokens for their school, £200 National Book Tokens for themselves and £200 National Book Tokens for their teacher (if the entry was submitted by a teacher). Each runner-up has won £250 National Book Tokens for their school, £100 National Book Tokens for themselves and £100 National Book Tokens for their teacher. Eleanor's design will be made into a real National Book Token, available in bookshops all around the country in time for Christmas!